Elsevier, a world-leading provider of scientific, technical and medical information products and services, and the editors of the leading international journal Chemical Physics Letters are pleased to announce that the 6th Ahmed Zewail Prize in Molecular Sciences has been awarded to Professor Michael Graetzel from the Ecole Polytechnique Fédérale de Lausanne, Switzerland for pioneering contributions in efficient solar light harvesting and its conversion to energy. 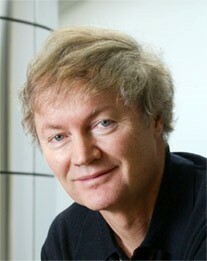 Professor Graetzel pioneered research in the field of energy and electron transfer reactions in mesoscopic systems and their use in energy conversion systems, in particular photovoltaic cells and photo-electrochemical devices for the splitting of water into hydrogen and oxygen and the reduction of carbon dioxide by sunlight as well as the storage of electric power in lithium ion batteries. He discovered a new type of solar cell based on dye sensitized nanocrystalline oxide films which successfully mimic the light reaction occurring in green leafs and algae during natural photosynthesis. Dye sensitized solar cells (DSSCs) are currently produced by industry and sold commercially on the megawatt scale as light-weight flexible cells for powering portable electronic devices and as electricity producing glass panels for application in building integrated photovoltaics. The DSSC has engendered perovskite solar cells (PSCs) that have revolutionized the whole field of photovoltaics reaching over 22% efficiency only a few years after their inception. This exceeds the performance of polycrystalline silicon solar cells. The Ahmed Zewail Prize in Molecular Sciences is a biennial award presented by Chemical Physics Letters. Named for the journal’s Honorary Advisory Editor Professor Zewail, who received the 1999 Nobel Prize in Chemistry, the Prize is awarded to individual scientists who have made significant and creative contributions of a fundamental nature to any of the disciplines of molecular sciences. The Prize consists of a monetary award of $20,000, a Gold Medal and a certificate. Professor Graetzel will receive the Prize at special symposium during the Femtochemistry Conference (FEMTO13), 13-17 August, 2017 taking place in Cancun, Mexico. Reporters interested in attending the award ceremony during the Femtochemistry Conference (FEMTO13), 13-17 August, 2017 in Cancun, Mexico, can contact Annis Moreira at a.moreira@elsevier.com or +31 20 4852770.